I've been a patient of this clinic for many years, and Dr. Jensen is the third dentist I've seen here. I'm impressed by her professional staff, and look forward to continuing excellent care. Enjoy the sparkly, fresh tooth feeling after having my teeth cleaned. I appreciate the careful check of my current dental health. Thanks once again for the good work!! 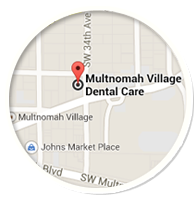 I was extremely pleased with my recent visit to Multnomah Village Dental Care. For starters I had to bring my 4 and 6 year old children with me to the appointment, which I was nervous about. The staff didn't bat an eyelash, and warmly welcomed my children into their play room....where they played quietly the entire visit! I felt that Dr. Jensen and her staff were professional and very thorough; I would highly recommend going to them for future dental work. I was a walk in patient and from the very beginning everyone was very friendly and genuinely concerned for my health. Aubrey was very patient with all of my billing questions. She didn't seem bothered at all and was eager to help. Dr. Jensen and her assistant work well together. They seem genuinely concerned with making their patient comfortable and are fun to talk to. It felt like I was having two friends work on my mouth:) A very comfortable and positive experience. Great job everyone! I have been going to this office for about 30 years. The staff has always been friendly and professional. Recently my dentist retired and Dr. Jensen took over his practice. She is wonderful! I have a 2 and 4 year old that love to go to the dentist with me. Dr. Jensen put in a play room for kids filled with all kinds of toys. My 4 year old just had two fillings done and it was a very positive experience for him. The staff is genuinly caring and go out of their way to make you comfortable. I find their prices to be reasonable. I have been pleased with dental plans provided to me. I would deffinetly reccomend this dental office! To top it off, there is a Starbucks right across the street! I love the feel of this place and all of the employees. The digital X-rays are really cool and my kids love the play area. They are so family friendly and very engaging. I started going here as a patient of Dr. Shaw, and I was sad when he retired. 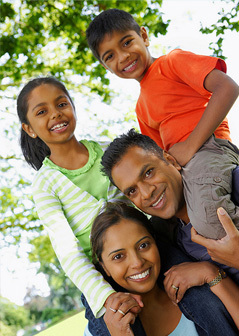 I have now had 2 appointments with Dr. Jensen and am glad that the practice has remained the same. She is very friendly, but also professional and gentle. Getting fillings for the first time in at least 20 years, I was nervous and being offered and iPod and headphones made a world of difference. I don't feel like I am getting over treated there, and the dental assistants make helpful suggestions without making you feel guilty about your flossing! Everyone in the practice is very friendly, and I like that it is generally quiet and relaxed there. All my experiences at Multnomah Dental have been good ones and I feel like my teeth are in better shape than they have been in for years. Also, doing a bite assessment is amazingly simple and helpful- having my bite fixed even slightly has helped my headaches and made my mouth feel more comfortable. It is always interesting when a dentist sells his practice to retire. We have been patients through Dr. Paul Winn & most recently, Dr. John Shaw--yes we have been patients @ the same office for a LONG TIME!! Each of these dentists were careful to find another caring dentist to assume care of their patients. WELCOME, to our dental lives, Dr. Lisa Jensen!! You have all ready proven in your short time that the GREAT CARE CONTINUES!! – Don & Becky L.